I knew that he was born in Cairo and this distinctive birthplace helped me to pick out his name and the record in the google listing. He was born there on 21 December 1859. His father's name was Jan Peelen and his mother's name Anna Hendrika Knoops and clearly his name was derived from both parents. This record shows that he appeared before some kind of a military tribunal to plead his case to be exempted from military duty. At that time he was living in Naarden, The Netherlands, and had no occupation. He was described as being 1.67m tall, with an oval face, round chin, fair complexion, small mouth, brown hair, eyes and eyebrows. His father Jan Peelen, was a civil engineer, who was sent to Cairo, Egypt, by his Dutch employer the firm van Vlissingen en Heel to install a steel mill for the Egyptian Khediva. When the Khedive decided to strip the mill of all its copper piping to fit out a warship he resigned in disgust and returned with his family back to Holland where he established himself as a Civil Engineer. 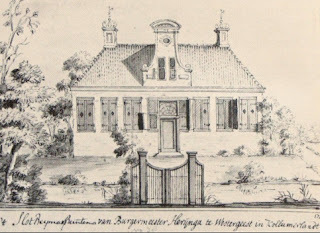 Jan Hendrik worked firstly in Amsterdam and later became a Director at the Victoria Springs in Oberlahnstein. He was a follower of Rudolf Steiner and an anthroposophist and moved to Arlesheim near the Goetheanum and worked alongside Rudolf Steiner. He was also an accomplished artist and sculptor. and a keen diarist. He married Julie Scherius and had 4 children with her, two boys and two girls. 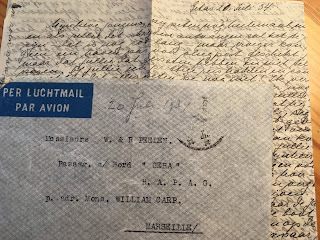 His son Jan Reinier Charles Peelen was my grandfather. Jan Hendrik Peelen died in The Hague on 7 June 1934.